Insurance is not the most exciting topic. Especially when you are all fired up to raise money for your favourite good causes or non profit organisations. Or you think you have hit on the greatest fundraising idea ever and can't wait to try it out. Insurance is however one of those parts of running anything properly that requires proper attention. Failure to do so can result either in the group you are working so passionately to support, or you personally, losing money or becoming liable for something. Another common requirement for some organisations is event insurance. This is cover taken out to limit liabilities to claims relating to particular events or activities you may undertake. Or, in some cases, their unavoidable cancellation due to bad weather or other circumstances. So which insurance company do you go with? There are a great many insurance companies and brokers (people who sell insurance products from a range of different companies) who now have policies tailored specifically to charities and other non-profit groups. All of these will, of course, tell you that the policy they are recommending is the best on the market. It can be difficult to know what is good value and what is unnecessary. Then there is also all the confusing jargon and legal wordings. Some people are quietly confident with this - to others it is a jungle of confusion. If you really are stuck, seeking advice from a local (friendly) business person can really pay dividends. 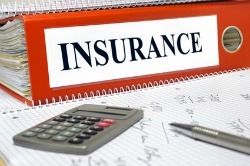 It is likely that anyone in business has had dealings with insurance, public liability etc. Some people will happily respond to specific asks like this. Do the background work in advance, but then see if you can persuade someone to sit down with you to help sort out the competing offers. Other charities are also a good source of information and contacts. The important thing is not to accept the first offer you come across. There are plenty of companies out there. Find a few you are comfortable with and compare their prices and what they offer. Remember that if you can find the best quote for the best cover you could possibly save your fundraising group a few hundred hard earned pounds / dollars so it really is worth spending a little bit of time on this. You can also sometimes find good deals through charity networks. Some PTO / PTA's for example can access cheaper insurance through regional or national membership bodies. Many faith groups and churches can also access similar deals. There are also some not for profit charity insurance companies (sometimes instigated by individual country's charity support organisations) specifically set up to cater to the needs of non profit groups. It might not always be the case however that their premiums are cheaper so do compare their offers with those from commercial companies. This is a common ploy of insurance companies across all areas. They offer you a really tempting offer to get you to sign up but when it comes to renewal time a year later up goes the premium. They are playing the numbers game - counting on peoples apathy and, often loathing, for anything dull and complicated to avoid shopping around for a better deal. Don't get caught out, if your premium rises look for a better deal! The requirements of different charity groups vary enormously depending on who they serve, interact with and how and where they operate. You must therefore always ensure that cover is adequate for who you are, what you own and what you do. Below are some simple definitions of some of the more common elements of a typical charity insurance package. Each of these elements will usually have an insured sum attached to it which should be adequate to cover likely eventualities. Public Liability - This refers to the legal liability of an organisation to pay compensation to members of the public if they are injured or if their property is damaged as a result of an accident caused by your group or a product sold or supplied by you. Employer's Liability - This refers to the insurance of any paid staff, or in some cases, authorised volunteers should they be injured whilst working for your organisation. Legal Expenses - This would cover legal costs in the case of claims against your group. Charity Trustee Indemnity - This is to protect your organisation's trustees for damages or legal expenses against which they may be considered personally responsible either by the organisation itself or a third party. There will always be a number of exclusions to this to prevent deliberate wrongdoing or recklessness. Fidelity Insurance - This protects your charity against any financial loss due to wrongdoing or fraud by staff, trustees or in some cases volunteers. It can also be refered to as "Theft by employee" insurance. Pluvius Insurance - Named after the Roman God of Rain this is an insurance in case an event you had organised is canceled due to bad weather. It is sometimes an element of event insurance. With most groups there may also usually be other considerations such as buildings and contents insurance, minibus insurance etc. These can often be included in your charity insurance package. So there you have it charity insurance. But do it properly, do not cut corners. Make sure both you and your organisation are adequately covered. Then you can get on with the fun stuff.